If you are a current member of the Friends of the James Farm send us your e-mail address!!!! If you are not a member please join!!!!!!! To see our News Letters Click Here! Check our our James' Scrap Book page! Most of the images are are from Ann McQuinn and Susan Gebhardt. Great Grand Daughters of Fannie Q. Samuel and Joe C. Hall. 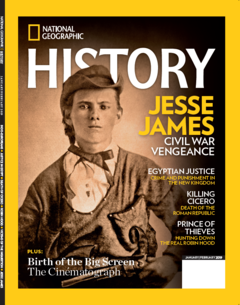 Some photographs and documents are from the 1939 movie about Jesse James. This includes seldom seen photos of the movies' stars Tyrone Power, Henry Fonda, and Lon Chaney Jr with relatives of Frank and Jesse James!!!! Check out the James Farm Gift Shop Catalog by clicking on the bar below!! This is the place to get James Farm and Jesse James gear. We have a great selection of shirts, books and other items. The Winter 2019 edition of the James Farm Journal is here!!! Click to see some great content!! Old West Revolver Shoots at the Historic James Farm!! Join us on April 6, June 15, and September 21,2019!!!! Click Here for the hot off the press Winter 2019 James Farm Journal. Dont forget to renew your membership for 2019!!! Welcome to the new web site of the Friends of the James Farm. Please take a look around our new new site. Please bear with us as we are still building and improving! The Friends of the James Farm is a non profit group that promotes public interest in and awareness of the James Farm Historical site. The James Farm is owned and operated as a historic site by Clay County, Missouri. Mission Statement. The Friends of the James Farm (FOTJF) exists to support and help preserve the birthplace of Jesse James. 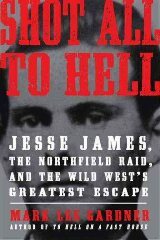 Through programs and events, the FOTJF also educates the public about Jesse James, his history, his family, and his associates. The FOJF advocates and encourages the study of the historical and cultural significance of this colorful period of history. We promote research and understanding of the following areas: history of the 1800s in general, the Civil War, the Missouri Border War, and the post war activities of Jesse and Frank James. The Friends of the James Farm Board will increase membership in the Friends of the James Farm and participation in events held to benefit the James Farm. The FOTJF will continue to contribute gifts, improvements, and promote special events, at the James Farm to enhance its appeal to visitors and maintain its standing as a destination of historical interest in Clay County. The FOTJF Board will actively seek out and cooperate with other historical and civic groups for the Sesquicentennial of the Civil War. The board will sponsor programs for younger generations, to encourage the continued interest, study, preservation, and interpretation of the exciting periods in history represented by the James Farm, the birthplace of western legends. Join us Now!!! 2018-2019 Membership application is here! Follow the Friends of The James Farm on Facebook!